Network with Amgen, Sumitomo Rubber, Eli Lilly, Mitsubishi Gas Chemical Company, MedImmune, Merck & many more! SMi Group's 4th annual Pre-Filled Syringes West Coast conference will convene on June 3rd & 4th. Pre-Filled Syringes West Coast will gather a global audience of medical device experts and PFS industry leaders to discuss new developments and showcase the latest and advancements, keeping you at the forefront of a booming industry. The competitive PFS market has sparked great improvements as devices strive for higher quality, safety, and patient satisfaction. Pre-Filled Syringes West Coast is the perfect platform to strengthen knowledge in key principles such as human factors and patient centricity, connectivity and digital health, container closure integrity, the therapeutic opportunities of pre-filled, and manufacturing in the landscape of complex biologics, whilst honing in on emerging trends for parenteral devices. or anyone who works with Pre-Filled Syringes/ Autoinjectors within pharmaceutical, biotech and solution providers. Michael Song leads the Device Functionality, Safety and Digital Connectivity group at MedImmune, a Member of the AstraZeneca Group. In his current role, he oversees device functionality; primary container science and technology; biocompatibility; container closure integrity testing; and digital connectivity. Prior to his current role, Michael was head of Device and Package Engineering at Adello Biologics, a member of Amneal Pharmaceutical. He also has held key engineering lead and toxicology SME positions at Stryker, Kavlico, and other companies. Michael holds a BS in Electrical Engineering from Purdue University and PhD in Neuroscience and Toxicology from Iowa State University. Tina Rees is the Associate Director of Human Factors at Ferring Pharmaceuticals, where she is responsible for the development and implementation of Human Factors and Usability Engineering processes into the overall product development process. Prior to her move to Ferring, she was a Principal Research Scientist in Human Factors at Eli Lilly, focusing on human factors usability within the diabetes division. She has conducted many formative and summative usability studies and has participated in a number of submissions to regulatory authorities resulting in clearance of medical devices and approval of combination products. She received her Ph.D. in Biomedical Research from the Mayo Clinic in Rochester, MN. She is a strong proponent of human centered design processes and incorporating human factors early into the device development process. Dr. Forster is the Executive Director, Device Final Drug Product Technology department at Amgen Inc. Responsible for all Container Closure Systems, their integration into combination products, devices and drug substance systems. His team has developed and published numerous standards for Biological Packaging systems, lead multi-company teams to establish guidance’s in Biological Packaging development, and serves on numerous customer advisory boards for packaging suppliers. Prior to joining Amgen, Ron was with Merck Inc. where he was Senior Principle Engineer leading a group that implement Quality by Design for primary packaging systems from early clinical development through commercial supply chain systems. He was a key leader in advancing the Merck Commercialization process and served as a global manufacturing lead on a key product franchise board. During his tenure at Merck, he also served as an Adjunct Professor at Rutgers University in Biomedical Engineering and Ceramic Engineering. Ron has an Interdisciplinary Ph.D. from Rutgers University in Chemical Engineering, Ceramic Engineering, and Mechanics and Materials Science. Kesley Gallagher, Senior Manager Novel Marketed Biologics, Amgen Inc.
Kesley Gallagher is the Director of External Engagement, Combination Products, at Amgen in Thousand Oaks, CA. She has worked in the pharmaceutical and medical device arenas for over 20 years in both Quality Assurance and Regulatory Affairs. Her prior responsibilities include Medical Device Regulation (MDR) implementation for both CE marked devices and products that will require notified body opinion. She led teams for the global submissions and approvals for the Repatha Pushtronex and managed the regulatory aspects of the Neulasta OnPro; these are Amgen’s first on-body injectors. Prior to joining Amgen, Kesley was an RA Manager at Abbott Medical Optics, specializing in new product development for eye care products and ophthalmologic surgical femtosecond lasers. Kesley has an MS in Regulatory Science from the University of Southern California and an BA in Biology/Chemistry from Bowdoin College. When off duty, Kesley is a seasoned expert in fly fishing, and currently holds 10 IGFA world records and won grand champion in the Ladies Tarpon Fly Tournament last spring. Douglas Cusato is the Director of the Medical Rubber Business for Sumitomo Rubber, North America . In this role, he is responsible for all aspects of the regional business including Strategy, R&D, Operations and Sales. Douglas has been active in the parenteral packaging industry since 2006 and has served in various technical leadership roles with focus on technology and platform development. He has chaired multiple industry tasks forces and participates in numerous groups as a subject matter expert in elastomeric components for parenteral packaging applications. Doug holds a bachelor’s degree in Chemistry from Rutgers University. How can innovation in elastomeric components support PFS & next generation drug delivery systems? How can a suppliers manufacturing network support PFS & next generation drug delivery systems? What can we learn from other industries and apply it to future innovations and support drug delivery innovations? Dr. Lin Li is a Senior Consultant Engineer currently working at the Delivery Devices and Connected Solutions team in Eli Lilly and Company. He has gotten his Bachelor’s degree from McMaster University (Canada) and his Ph.D from University of Tennessee in the field of Materials Science and Engineering. He joined Lilly in 2015 and has been part of Lilly’s research on the effort of developing innovative pharmaceutical packaging and devices ever since. Diane Doughty is a senior scientist in the Drug Delivery & Device Development group at MedImmune (A Member of the AstraZeneca Group). Her focus is developing combination products for the delivery of peptides and monoclonal antibodies using prefilled syringes, autoinjectors, and pen injectors. Diane has a Ph.D. in Pharmaceutical Sciences from the University of Maryland where she investigated usability of orally inhaled and nasal drug products and the effects of patient-variability on product critical quality attributes. 14:45 FDA Training Decay Research Initiative – Is a 1-hour training decay long enough for summative usability testing? Shannon E. Clark, Principal, UserWise, Inc.
Shannon E. Clark is founder and CEO of UserWise, a consultancy that helps medical device manufacturers and start-ups to design safe and easy-to-use medical devices. The consultants at UserWise conduct usability testing for a variety of medical devices ranging from surgical robots to home-use injection platforms. UserWise consultants also perform safety assessments to comply with U.S. and international regulations related to Human Factors. Before founding UserWise in 2015, Shannon was a Human Factors Engineer at Intuitive Surgical and Abbott Laboratories. Shannon graduated from UCLA with a B.S. in Mechanical Engineering and a technical breadth in Technology Management. Shannon is additionally a Certified Processional Industrial Engineer, holds two patents, and has written and published three books. Gay Steinbrick, PharmD is a Managing Partner at gMedicas. Dr. Steinbrick has Bachelor’s Degree in Pharmacy and Doctor of Pharmacy from Massachusetts College of Pharmacy and completed her post-doctor training at the Hospital of the University of Pennsylvania. Dr. Steinbrick began her career as an Assistant Professor of Clinical Pharmacy at Rutgers University. She then joined Schering-Plough were she established and headed Global Drug Information Services (GDIS) for 18 years. After GDIS, Gay took a strategic role under the Chief Medical Officer focusing on Clinical and Safety Compliance and Clinical Quality Assurance. Dr. Steinbrick moved to Clinical Safety and Risk Management following merger of Schering-Plough and Merck. While at Merck, Dr Steinbrick implemented the Risk Management Process, developed the REMS program and headed the design and implementation of the EU EVMPD Program resulting in a successful best in industry on time delivery. In 2013, Dr. Steinbrick was asked to establish the medical device and combination product discipline within Merck Global Clinical Safety and PV organization. She also co-Lead the regulatory initiative for the US and EU drug device combination regulation implementation. Dr. Steinbrick has vast experience in compliance and regulatory agency inspections. Dr. Steinbrick also mentors high school and college students and is a youth advisor to the US Congressional Award Program. Dr. Steinbrick has Bachelor’s Degree in Pharmacy and Doctor of Pharmacy from Massachusetts College of Pharmacy. She completed her post-doctor training at the Hospital of the University of Pennsylvania. Ed Israelski is a consultant and the recently retired director of Human Factors at AbbVie, a biopharmaceutical company. He joined the company in 2001, where he led a cross-company team to imbed best-practice human factors engineering HFE design methods into all of AbbVie’s products, to ensure safety and usability. He did this through hands-on design and evaluation of key new products, managing a group of HF professionals; training and mentoring internal resources, writing corporate policy and guidelines and facilitating the use of outside professional HFE resources. He is the co-convener for IEC and ISO Ergonomic and Usability Engineering groups in developing international Human Factors/Usability medical devices standards. Ed is also past co-chair of the AAMI Human Factors Engineering committee, which develops HF standards for medical devices. He is a certified human factors professional CHFP. He has authored fourteen book chapters and numerous articles in the area of human factors. Ed holds thirty patents. He is a fellow of the Human Factors and Ergonomics Society and a member of the National Academy of Sciences Board on Human-System Integration. He is on the editorial board for the journal Human Factors and serves as a regular reviewer for several other scientific journals. He has worked as a systems engineer, product manager, market researcher, industrial/organizational psychologist as well as a human factors engineer at various companies including Lucent Technologies - Bell Labs, formerly AT&T, Ameritech/SBC and Human Factors International, Ed is an adjunct instructor at Northwestern University. He received a B.S. in electrical engineering from NJIT, an M.S. in operations research from Columbia University and a Ph.D. in industrial and engineering psychology from Stevens Institute of Technology. 9:35 Pain perception and injection devices: could pain be assessed through non-human person trials in early stage device development? Séverine DUBAND has joined Nemera in 2018 as Global Category Manager of the parenteral segment. She is responsible for developing the parenteral products, including the passive safety systems Safe’n’Sound®, the innovative autoinjector Safelia®, as well as several other projects. With regards to the presentation title and details, it is still work in progress and very linked to a study we are conducting at the moment and for which we do not have the full results yet – we should have those by end of January. If the results are not good, we may need to adapt our presentation subject accordingly, so just wanted to give you a heads-up on this. Can a study on NHP evaluate pain associated to injection? Mr. Swapnil Pansare is Scientist at Medimmune and in his current role, Mr. Pansare is responsible for Drug Product fill finish and process development for liquid and freeze-dried biologics. He is a key member of Process Engineering and Packaging team currently supporting tech transfer of commercial products to commercial site. In his previous role, Mr. Pansare was responsible for developing protein formulations suitable for combination products. He received his MS in pharmaceutical sciences from northeastern university. Mr. Pansare’s research interests include process development, scale up and tech transfer and formulation development for Drug Products (including combination products). Toshiro Katayama, Product Manager, Zeon Chemicals L.P.
Toshiro Katayama is the product manager, at Zeon Specialty Materials Inc and responsible in development of Cyclic Olefin Polymer business in the USA. He has over 35 years of various commercial experience, general management, sales and market management, strategic planning, merger and acquisition and purchasing at Gets Bros. & Co Inc (Marmon Group), Union Carbide Corp and Itoh-Chu. He holds Bachelor of Science degree in Mechanical Engineering and Master of Science degree in Structural Engineering from Polytechnic Institute of Brooklyn. Case study: Biologics formulation for COP syringe optimized to eliminating use of surfactant. Jason Fernandez is a Senior Scientist in the Protein Pharmaceutical Development group at Biogen. He is responsible for the formulation, manufacturing process development, tech transfer and container development of liquid parenteral dosage forms. Jason has over 18 years of experience focused on therapeutic protein drug product development over multiple companies. Managing the viscosity of liquid formulations for high concentration products. Managing subcutaneous primary container compatibility and interactions with protein formulations for SC delivery. Lori received her B.S. in Pharmacy from the University of North Carolina at Chapel Hill in 1990 and her Ph.D. in Pharmaceutical Chemistry from the University of Kansas in 1996. She is currently a Senior Principal Scientist in the Parenteral Science and Technology group at Bristol-Myers Squibb and has over 20 years of experience in the development of drug product formulations for proteins, peptides, and small molecules from early through commercial phase. Biologics products, packaged in pre-filled syringes, can sometimes show physical instability due to the silicone oil used to lubricate the syringe barrel. Product Manager, Zeon Chemicals L.P.
Senior Manager Novel Marketed Biologics, Amgen Inc.
Our wide range of services and flexibility to handle projects of any size, makes us your preferred US packaging partner. View details Credence MedSystems Sponsors and Exhibitors http://www.credencemed.com Credence MedSystems is an innovator in drug delivery devices. The Companion Syringe System, available in luer needle, staked needle and dual chamber reconstitution configurations, allows pharma to impress & protect end-users while preserving existing processes & components. The user injects, receives end-of-dose cues and then the needle automatically retracts into the syringe, preventing reuse. View details Kaleidoscope Innovation Sponsors and Exhibitors http://www.kascope.com Founded in 1989, Kaleidoscope Innovation is a full-service, insights, design and development firm. Offering consultancy-style and onsite services, Kaleidoscope Innovation helps business partners solve challenges through: Insights & Human Factors, Industrial Design & User Experience, Engineering, Visualization and Software Development. Kaleidoscope Innovation has ISO 13485:2016 certification and IEC 60601 compliant. View details Lonstroff Sponsors and Exhibitors http://www.lonstroff.com Lonstroff is a partner that offers all services related to elastomeric solutions from a single source. We advise our customers not only in the new development and optimization of materials, but also in their applications and in value analysis. Thanks to our experience, we are also able to provide valuable support with the registration and approval of the products. View details PHC Corporation Sponsors and Exhibitors http://www.phchd.com/global/ PHC Corporation of North America is a subsidiary of PHC Holdings Corporation, Tokyo, Japan, a global leader in Medical Devices, Healthcare IT and Life Sciences. With drug delivery devices, ultra-low temperature freezers, biomedical refrigerators and incubators, PHC offers technologies and solutions for pharmaceutical, life science and biotechnology applications across industries. View details Plastic Ingenuity Sponsors and Exhibitors http://www.plasticingenuity.com Plastic Ingenuity is a custom thermoformer that provides packaging for the drug delivery and pharmaceutical markets. We specialize in creating secondary packaging for pharmaceutical combination products and automation trays that integrate into high volume assembly equipment for our drug delivery partners. These parts run flawlessly on highly complex automated equipment. View details Sumitomo Rubber Industries Sponsors and Exhibitors http://hybrid.srigroup.co.jp/en/products/cleanrubber/ Since our founding in 1909 as the first modern rubber factory in Japan, we at Sumitomo Rubber Industries have strived to produce advanced, environmentally friendly products based on the latest innovations in rubber technology. Within the medical rubber group, we are focused on providing the highest quality products, and ultimately dedicated to improving the lives of people around the world. Utilizing the latest in material and process innovations and our global manufacturing footprint, our team members work diligently to ensure we deliver consistent high performing products and provide strong assurance of supply. View details WILCO Sponsors and Exhibitors http://www.wilco.com WILCO provides in-line, off-line and laboratory machines with non-destructive and data-driven testing methods for monitoring the gas concentration in the head space and container closure integrity (CCI) simultaneously. Our patented leak detection methods based on the process analytical technologies (PAT) offer the opportunity for monitoring the finishing processes as well. View details ZEON Sponsors and Exhibitors http://www.zeonex.com ZEON’s Zeonex® and Zeonor® cyclo olefin polymer (COP) allow for advanced, break-resistant syringes, vials and lyophilization containers for protein-based biopharmaceuticals, high viscosity drugs, and contrast media. They also offer high purity, “glass-like” transparency, sterilization, low water absorption, and superior moldability, as well as overcome protein adsorption and ph shift concerns. View details ZwickRoell Sponsors and Exhibitors http://www.zwickroell.com With over 160 years of expertise in materials and components testing, ZwickRoell delivers intelligent materials testing solutions for the medical industry, including drug delivery testing systems for syringes and cartridges, autoinjectors, and pen injectors. Our qualification services help ensure compliance to your industry’s stringent testing requirements. View details Pharmaceutical Outsourcing Supporters http://www.pharmoutsourcing.com Pharmaceutical Outsourcing, the journal dedicated to pharmaceutical and biopharmaceutical contract services. With regular sections on contract manufacturing, contract research, contract packaging, formulation/development services, contract analytical testing, APIs, stability testing, clinical research and other areas, we bring the most complete coverage of trends and issues in the industry to our 15,000 readers in North America. View details Pharmiweb Supporters http://www.pharmiweb.com Established in October 2003, PharmiWeb Solutions is an energetic, innovative provider of web-based solutions for the pharmaceutical sector, with customers such as AstraZeneca, Roche, Servier Laboratories, and Merck With solutions in three key areas: Online Publishing, e-Business and Mobile Computing, we deliver connectivity – between people and applications – unlocking islands of data and knowledge. 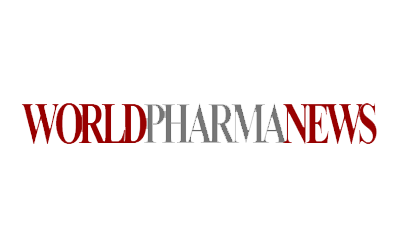 We own some of the sector’s most innovative Online Publications: PharmiWeb.com, HospitalPharma.com and Detail-Direct.com. We are actively developing solutions for Mobile Computing platforms. For example, our PharmiTabTM e-pharmacy solution runs real-time patient data and prescribing transactions in a busy hospital environment, on a TabletPC, wireless client/server platform. e-Business solutions range from e-Detailing, to Online Market Research, all designed to increase reach, increase sales, and to reduce administration and costs. Experience the epitome of California coastal chic at Hyatt Regency Mission Bay Spa and Marina San Diego vacation resort near SeaWorld San Diego. Expect the best at this remarkable San Diego vacation resort offering incredible ocean views, waterfront dining, a contemporary poolside lounge, eco-friendly spa, and redesigned hotel rooms and suites and meeting rooms. The only resort hotel in San Diego with multiple water slides, you'll delight in a water playground with three new pools, waterfront health club, and a full-service marina with jet skis, sailboats, kayaks, sportfishing and whale excursions. An unparalleled choice for discerning travelers, you’ll find everything you could wish for at our premier Mission Bay hotel near famous San Diego,CA attractions such as SeaWorld San Diego. Credence MedSystems is an innovator in drug delivery devices. The Companion Syringe System, available in luer needle, staked needle and dual chamber reconstitution configurations, allows pharma to impress & protect end-users while preserving existing processes & components. The user injects, receives end-of-dose cues and then the needle automatically retracts into the syringe, preventing reuse. Founded in 1989, Kaleidoscope Innovation is a full-service, insights, design and development firm. Offering consultancy-style and onsite services, Kaleidoscope Innovation helps business partners solve challenges through: Insights & Human Factors, Industrial Design & User Experience, Engineering, Visualization and Software Development. Kaleidoscope Innovation has ISO 13485:2016 certification and IEC 60601 compliant. Lonstroff is a partner that offers all services related to elastomeric solutions from a single source. We advise our customers not only in the new development and optimization of materials, but also in their applications and in value analysis. Thanks to our experience, we are also able to provide valuable support with the registration and approval of the products. 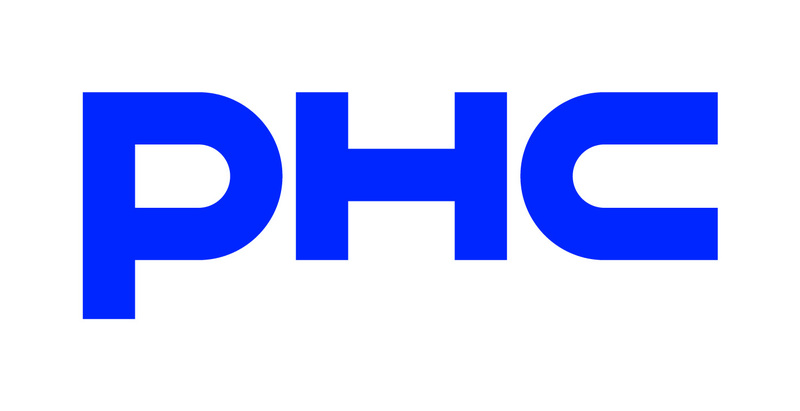 PHC Corporation of North America is a subsidiary of PHC Holdings Corporation, Tokyo, Japan, a global leader in Medical Devices, Healthcare IT and Life Sciences. With drug delivery devices, ultra-low temperature freezers, biomedical refrigerators and incubators, PHC offers technologies and solutions for pharmaceutical, life science and biotechnology applications across industries. Plastic Ingenuity is a custom thermoformer that provides packaging for the drug delivery and pharmaceutical markets. We specialize in creating secondary packaging for pharmaceutical combination products and automation trays that integrate into high volume assembly equipment for our drug delivery partners. These parts run flawlessly on highly complex automated equipment. Since our founding in 1909 as the first modern rubber factory in Japan, we at Sumitomo Rubber Industries have strived to produce advanced, environmentally friendly products based on the latest innovations in rubber technology. Within the medical rubber group, we are focused on providing the highest quality products, and ultimately dedicated to improving the lives of people around the world. Utilizing the latest in material and process innovations and our global manufacturing footprint, our team members work diligently to ensure we deliver consistent high performing products and provide strong assurance of supply. WILCO provides in-line, off-line and laboratory machines with non-destructive and data-driven testing methods for monitoring the gas concentration in the head space and container closure integrity (CCI) simultaneously. Our patented leak detection methods based on the process analytical technologies (PAT) offer the opportunity for monitoring the finishing processes as well. ZEON’s Zeonex® and Zeonor® cyclo olefin polymer (COP) allow for advanced, break-resistant syringes, vials and lyophilization containers for protein-based biopharmaceuticals, high viscosity drugs, and contrast media. They also offer high purity, “glass-like” transparency, sterilization, low water absorption, and superior moldability, as well as overcome protein adsorption and ph shift concerns. With over 160 years of expertise in materials and components testing, ZwickRoell delivers intelligent materials testing solutions for the medical industry, including drug delivery testing systems for syringes and cartridges, autoinjectors, and pen injectors. Our qualification services help ensure compliance to your industry’s stringent testing requirements. Pharmaceutical Outsourcing, the journal dedicated to pharmaceutical and biopharmaceutical contract services. With regular sections on contract manufacturing, contract research, contract packaging, formulation/development services, contract analytical testing, APIs, stability testing, clinical research and other areas, we bring the most complete coverage of trends and issues in the industry to our 15,000 readers in North America. Established in October 2003, PharmiWeb Solutions is an energetic, innovative provider of web-based solutions for the pharmaceutical sector, with customers such as AstraZeneca, Roche, Servier Laboratories, and Merck With solutions in three key areas: Online Publishing, e-Business and Mobile Computing, we deliver connectivity – between people and applications – unlocking islands of data and knowledge. 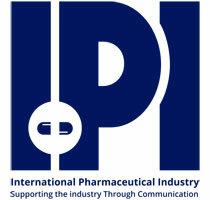 We own some of the sector’s most innovative Online Publications: PharmiWeb.com, HospitalPharma.com and Detail-Direct.com. We are actively developing solutions for Mobile Computing platforms. For example, our PharmiTabTM e-pharmacy solution runs real-time patient data and prescribing transactions in a busy hospital environment, on a TabletPC, wireless client/server platform. e-Business solutions range from e-Detailing, to Online Market Research, all designed to increase reach, increase sales, and to reduce administration and costs.